We are encouraged when we spend time with others who are doing their best to raise considerate, grateful and caring kids. We can be real with our struggles and share helpful, uplifting strategies to get through the tough stages. I need a copy of this book. I am trying so hard to raise grateful kids in an entitled world. And I have a lot of other voices from grandparents and family members that say things about my children and make them feel horrible about themselves and this is hard on my parenting as well. It’s hard to turn off all the clatter and just focus on what God has given me (these precious children) and keep my eyes on Him. The one who judges justly, and loves deeply, and keep walking humbly with my God. My heart’s desire is to raise grateful children who love God and others. Thank you for this! Would LOVE to read this book and win it in your giveaway. I really enjoy reading your articles. Gives me hope! I would love a copy! This article was great today as we head into our third week of summer break with my 14.12 and 9 year olds! ? I so need this! I have actually been to the 3 closest bookstores and its out of stock everywhere!!! I am a grandmother now, wish I had had this as guidance when I was raising my boys. I have said several times I’m glad I am not raising children now. My “boys” are raising their children and I pray everyday for them and their families. It is good to have advice and guidance when events put our lives in turmoil and I will share this with them. I am always so encouraged by your blog and love your transparency. Parenting is the hardest job. I’m on the early side of parenting (my daughter is 19 months). I’d love a copy of the book! Would love to win a copy. Kids are 2 and 4, and we are trying to set good habits and foster good attitudes from the beginning rather than break bad ones later. Needed this as we head into a long summer!! Thank you for posting! Just starting this journey of parenting and have heard great things about your book. Would love a copy to read then share with others! We are really needing to focus on heart work this summer! I would love to use this resource, as I am challenged and encouraged by your blog posts. Would love a copy! I am dealing with this daily and struggling. I would love to have a copy of your book! I’m in the trenches of parenting right now with 4 kids ranging in age of 16 down to 6 yrs old. Parenting is hard. Thank you for the encouraging words and hints! Would love to be in the drawing for the book. This is something near and dear to my heart. This is just what I needed, would love to win! I look forward to the rest of the posts you’ll be sharing with us. We are entering the teen years and heading back to the USA to boot! A bit intimidated so I’d love to read your book and gain some insight on how to swim upstream! Thanks! I’m dying to read your book…so pick me!! Thank you for always being a source of parenting inspiration!! I would to win a copy of your book! You have been a constant source of strenght and hope for me throughout this crazy parenting journey. Thank you so much! This works for OLD, but cute, empty nester. Maintaining relationships with adult children, and serving as a soundboard as they are heading to familiar pitfalls and dead-ends is a great job — creating a safe place through consistency and prayer never ends. I love your writing and am inspired by you! Thank you for your authenticity!!! Love all the points you made! Would love to win a copy of your book! Thanks for this post. Appreciate your “summer perspective”. Very refreshing to hear a voice of truth. We are a home schooling family with 5 kids who joined our family via foster adoption, international adoption (Russia, Ethiopia, and Haiti) and by birth. My kids get tempted by the “stuff” and priveleges other kids from club sports or church, or even in our extended family have. We are very counter cultural in teaching them being part of a family and community=work. Its kind, its helpful, its a life skill, its part of the deal. Its the flip side of being in community. And as for stuff, its called w-o-r-k. We provide opportunities, and with that comes payment, sometimes in cash, sometimes in priveleges. Again, we are working on teaching responsibility and life skills. It is a long lesson, but we see fruit= appreciation for gifts, joy in goals reached, and better care of items that were worked for. Cannot wait to read your book for more ideas and thoughts on entitlement. Thanks! Thank you for this!! It’s just what the Lord has been showing me! Rules and grace, it’s hard to know the balance sometimes. Thanks for these reminders, though! I was looking for some child encouragement as I pulled up your blog today. My parents are in town for a few days while my husband is out of town. You know when you hope for this great summer bonding time with family and kids. This morning was full of the kids arguing and bickering and aggravating each other. Followed by can you take us here and there and all of these big ticket entertainment ideas. So at lunch I started “bragging” on the kids with them there about a few really great things they did this last month where they had encouraged others and stood up against bullying etc. We also went over end of year good grades and some great prayers they had led. I was reminding them of what they can choose to do and how much I was proud of that behavior. It seemed to change everyone’s mood. Thank you Lord for directing those steps and helping to keep me sane. Kristen thank you for all your great ideas. 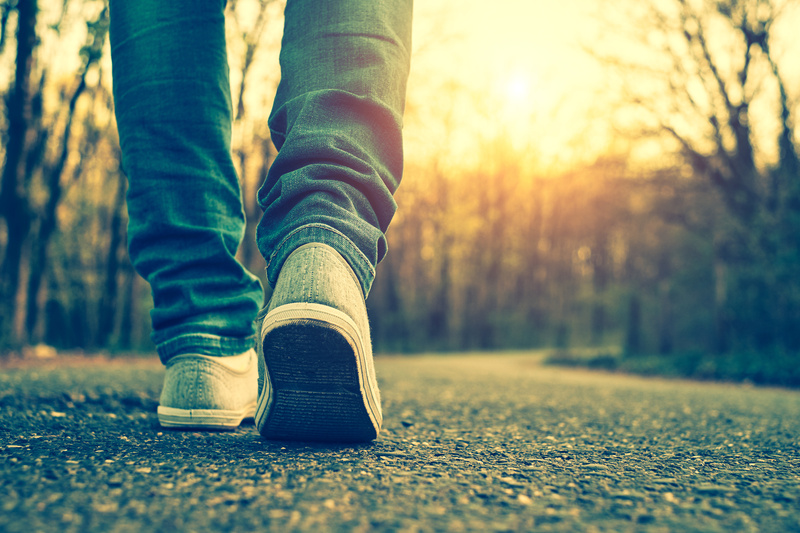 Always looking for practical ways to practice gratitude and continue to lead them to the Lord. I am a mother to 6 beautiful children and I would love a copy of your book! 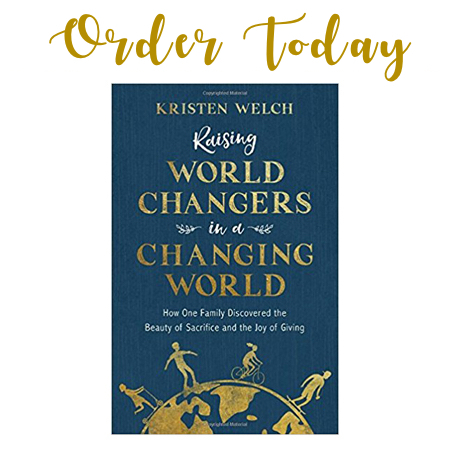 How awesome, your book is on my “wish list” thank you thank you for the opportunity! This is awesome! Poking forward to reading more! We need this in our home! I’m always happy when I find that I’m already doing something you recommend, Kristen. I read through the pages of my copy of Rhinestone Jesus often and am grateful for the sweet blessings I find in it each time I do. Thank you. Looking forward to hearing more of what you will share. Great post. Thank you for the opportunity to win a copy of your book!! This post really spoke to me! Raising a grateful preteen girl has been a challenge. Love the grace flowing through yours words. My husband and I feel like we’re going against the grain of the world trying to raise our kids. It’ll be worth it in the day but it’s certainly a struggle in the process. I’d love a copy of your book to get some guidance and advice on how to better teach them. I have this book on my “to read” list. Gratefulness is a quality that my husband and I both value and definitely would love more ideas and tools for how to train up our children to love Jesus and be grateful in life no matter what their circumstances are. What a breath of fresh air! Can’t wait to read! Thank you!! I loved your first point. “A heart for doing what’s right”. This phrase stuck out to me and will become my prayer for my daughters. My mother heart has been heavy today and I needed a breath of fresh air blown in to my heart and my prayers. Thanks for your wise words. I love this. I just finished Rhinestone Jesus while at the beach last week. It really helped me see that I don’t need to find a bunch of stuff to do for Jesus and busy myself until I’m crazy. I just need to pray for my “one thing” and keep my eyes open for it. Thank you for speaking truth to us intentional moms in the trenches with you. Oh, and I would LOVE a copy of your new book. Yes, please. I definitely need all the encouragement for grateful kids. Thanks. Count me in for the giveaway! I have 4 boys and I just want to hit the “reset” button, especially for my 8 year old, when it comes to attitude and gratitude! My husband and I both struggle with choosing grace over rules, it can feel so discouraging with these boys! I would love a copy of the book! I’m struggling with my oldest daughter, 8, on this topic. Been eyeing your book for awhile! “Nothing has helped our family more on this counter-cultural road than living in community with families who have the same goals.” So true. I’d love to read your book. Please enter me in the drawing. I would love a copy of this book, especially as we’re working on having thankful hearts (parents included) when days are hard or when we’re bored or when Mama fails to do something the kids thought she should have done. (Ugh.) Sometimes I get frustrated that my kids don’t have the perspective to see how tremendous their lives are, but then I remember: They’re still little. They don’t know about all of the world’s heartbreak, and they don’t yet understand the depth of sin or the height of grace! But we’re trying! Great suggestions and encouragement! Thanks for ways to be intentional. Needed this. What a blessing the book would be. Thank you for writing on this topic! So looking forward to reading your future posts about focusing your family on gratitude this summer. Trying to do the same with my family, starting with myself! Great advice! I would love to win a copy of your book! I’m trying to hard to teach/instill gratitude in my 4 year old son. Would love to read this book for encouragement as I love the posts I read here. Great read for our family! Would live the book! Thanks for the tips! This is the number one thing I am trying to teach my kids and it is hard to know how to go about it. I can’t wait to read and dive into this book! Would love to be considered for my three kids. Can totally relate to going to bed and praying for one of my kids, sleeping fitfully only to face another conflict in the morning…. Totally working hard to raise grateful children and respectful children. Wow! Really needed this right now. Thanks! Teaching gratefulness is difficult. I want to learn more and grow to grow my kids better. Enjoy reading your posts & books. Thanks for the chance at winning your book! Wow, I needed this this morning. Thank you. Thanks for the encouragement! I would love to read this book!! One of our goals as we raise our 6 children. Gratefulness with every breath. If love to win a copy! Such good stuff in this article! Sometimes I think we get so wrapped up in the moment, we can’t se the bigger picture. 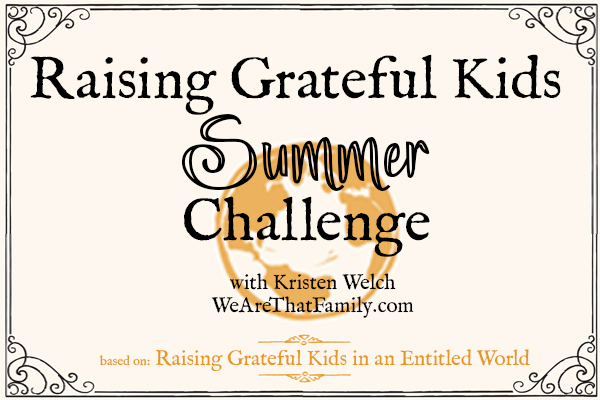 Raising grateful kids has been on my heart and a family mission this summer! Would love a copy of your book! I would love some advice on resource to work on fostering love and respect for each other as siblings. I am a granny of 6 and can always use good advice for being better with them. I would love your book. Thank you.